A training of women barefoot engineers. Screenshot from Ocean in a Drop provided by Secession Films and the Digital Empowerment Foundation (DEF) and used with permission. This country report was written by Ritu Srivastava from the Digital Empowerment Foundation (DEF) based in Delhi, India. Please visit the GISWatch website for the full report which is also available under a CC BY 4.0 license. At one time, all roads were supposed to lead to Rome; in today’s world, the “information highway” leads Rome right to our homes. Using a laptop, mobile phone or any other internet-enabled device, we can access data about Rome or virtually any other area under the sun on the internet. But how many have used the power of the internet? The number of internet users in India is likely to cross 500 million in 2018; however, the percentage of women internet users in India is only 29% (approximately 143 million). The telecom sector has one of the lowest percentages of women in the workforce – an average of between 8% and 15%, far less than the 26.6% female participation rate in the total workforce, according to the Gender Diversity Benchmark for Asia 2017 study. The number of women in the science and technology workforce is 12.5%. In rural areas, the gender divide is also felt. Few women engage in technical projects or have technical skills, largely due to cultural and social restrictions, but also because there are few opportunities for work in information and communications technologies (ICTs) at the grassroots level. The Wireless for Communities (W4C) project of Digital Empowerment Foundation (DEF) was initiated in 2010 with the aim of connecting rural and remote locations of India where mainstream internet service providers (ISPs) are unwilling to provide internet connectivity. In the last eight years, the programme has adopted various models of engagement – “hub and spoke”, “wireless on a wheel”, “Zero Connect box” and “women wireless entrepreneurs” being some of them – and connected 35 districts (in 18 states) by establishing 178 access nodes, engaging men and women equally. By engaging women, DEF’s community networks have created safe spaces for other women but also made them socially viable. This report discusses how women’s participation and engagement has transformed our wireless community networks into socially sustainable networks. In particular we highlight how creating so-called women “barefoot engineers” in the community means that learning and knowledge is transferred, while women are empowered to act in a field that they were previously restricted from entering. Last year, the global community reaffirmed the principle of “digital equality” – or equal access to and use of ICTs for all people. The principle is seen as critical for socioeconomic growth and creating opportunities to achieve the Sustainable Development Goals (SDGs) by 2020. One important way to achieve digital equality is to roll out broadband to rural and other unconnected regions. However, taking connectivity to the rural regions of India has been a tough task for several reasons. While the launch of the National Optic Fibre Network (NOFN) in 2011 aimed to connect 250,000 villages in India and the government’s 2012 National Telecom Policy called for “broadband access for all”, fixed broadband penetration in India is only 1.4%. 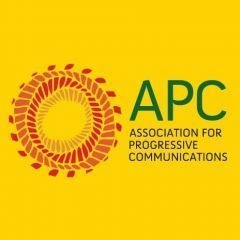 Limited existing infrastructure to deliver broadband, including the availability of backbone fibre, network towers, a lack of backhaul connectivity, and the high cost of providing fixed-line broadband, are some of the inhibitors to roll-out. Traditional ISPs are unwilling to go to rural areas as they are uncertain about the return on their investment. This is mainly because rural areas are either not as densely populated as urban areas or they are geographically isolated. Since rural people are less aware about digital tools and their usage, service providers are also unsure that they will be willing to pay for a service or afford their internet plans. Without raising digital awareness, it is difficult to increase the demand for connectivity. The lack of penetration in rural areas due to these barriers further discourages already marginalised people from becoming digitally literate. This leaves us in a deadlocked situation, with rural India trapped in a vicious cycle of being disconnected. There are relatively few working models which provide connectivity to communities excluded from access as a result of income levels, size and geographic isolation. One of these models is the community wireless network. Realising the importance of Wi-Fi networks, the Telecom Regulatory Authority of India (TRAI) identified community wireless networks as a model to promote public access in its 2016 paper, “Consultation on Proliferation of Broadband through Public Wi-Fi Networks”. Based on this paper, the Department of Telecommunications introduced the designation of Virtual Network Operator (VNO), enabling telecom service providers to utilise their networks and spectrum efficiently by sharing active and passive infrastructure to facilitate services at the resale level. This has opened up opportunities for small enterprises and non-profit organisations to become small ISPs, which was difficult to do before due to regulatory challenges. In India, there are very few social enterprises that are actively designing, deploying and setting up wireless networks specifically catering for rural communities. AirJaldi in Dharamshala, Gram Marg in Mumbai and DEF (based in Delhi) are among the few organisations that are providing basic connectivity and enabling access to information for citizens outside urban areas. 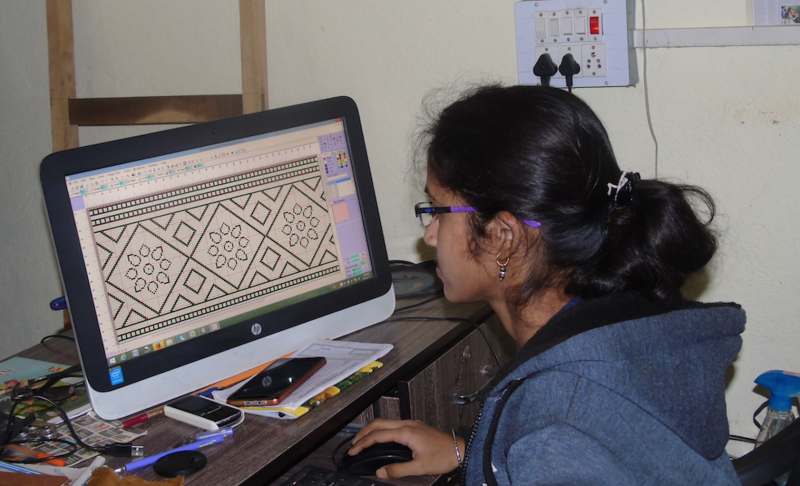 Bidyabati Meher, a first-generation computer learner from Barpali, Odisha has become a pro in using softwares and create beautiful designs for her handloom products. Photo provided by DEF and used with permission. AirJaldi started as a social, non-profit enterprise established in Dharamshala, Himachal Pradesh and provides affordable and reliable internet connectivity using unlicensed spectrum and wireless networks in rural communities. Gram Marg, an incubation of the Indian Institute of Technology (IIT) Mumbai, uses TV while space and now Wi-Fi to provide internet connectivity in 13 villages in Maharashtra. DEF also uses low-cost wireless technology, unlicensed spectrum bands – 2.4GHz and 5.8 GHz – and line of sight to support the provision of affordable, low-cost and reliable internet services in 38 districts of the country. Wireless community networks – or community networks – are “bottom-up” network models defined by various academicians and institutions as networks owned and managed by communities. Community networks are also defined by some as “crowdsourced networks” that are structured as free, open and neutral; they are built by a community and managed and operated as a common resource. Elkin-Koren offers a more technical definition of community networks as distributed network architectures in which users can implement a physically decentralised network through the decentralisation of hardware. According to the European Commission, community networks are a “private initiative by the local residents of the community using a so-called bottom-up approach.” In general, community networks offer an alternative and complementary approach to the traditional commercial model where internet connectivity is sold to the user. DEF, founded in 2002, aims to connect unreached and underserved regions of India in an effort to bring them out of the digital darkness and empower them with access to information. With a firm belief that access to information and community engagement can reduce information poverty in communities, it became essential for DEF to support first-mile connectivity solutions and to develop digital literacy to understand why and how relevant information can improve the socioeconomic conditions of people living in underdeveloped contexts. In 2010, DEF and the Internet Society (ISOC) initiated the W4C project to help provide internet connectivity where traditional ISPs were unwilling to operate. The first pilot project was started in a handloom community in Chanderi, Madhya Pradesh, with the aim of providing the community with information about weaving (while also allowing them to produce their own content) and the tools to archive their designs online, and connecting them to a wider market for them to sell their products. Gradually the project transformed into the first community network project in India established in a weavers’ community. Using low-cost, line-of-sight wireless technology, and the unlicensed 2.4 GHz and 5.8 GHz spectrum bands, W4C now creates community-owned and community-operated wireless networks. 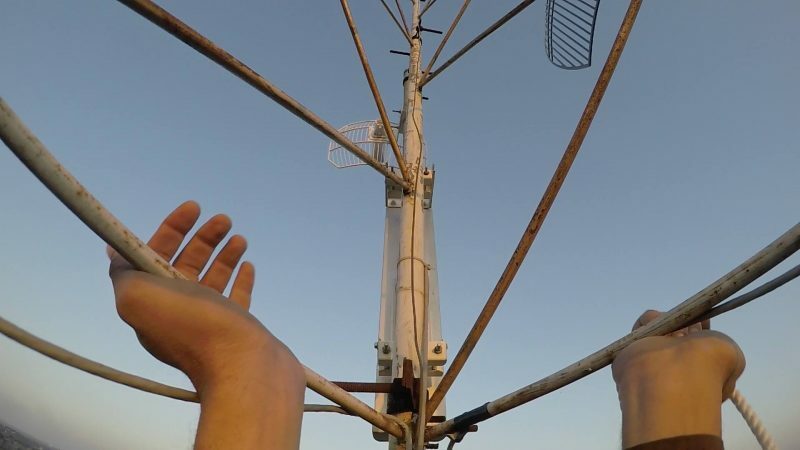 The W4C programme has four main components: 1) train the community members on using wireless networks and its components to create “barefoot network engineers”; 2) use open source practices, low-cost technology and frugal methods to set up community wireless networks (such as using line-of-sight to find the tallest building for setting up the antennae); 3) create a platform to develop local content using the wireless network; and 4) improve the socioeconomic lives of community members. A – building awareness on social rights and services through online avenues, and on laws and issues such as the Right to Information Act and women’s empowerment. H – health, such as telehealth services to connect primary health centres to district hospitals and enable local communities to access health-related information through the internet. E – education for young people who have not completed their schooling, and access to online learning materials. A – activating entrepreneurship by enabling community members, particularly women, to set up e‑commerce sites and businesses. D – delivery of governance services and enhancing state transparency and accountability. In eight years, the W4C programme has reached 38 districts across 18 states by deploying about 200 hub-based access points. These access points currently connect more than 4,000 people and user numbers are still growing. Most of these networks are located in tribal and telecom dark areas, where people have seen a computer and experienced the internet for the first time. There are two aspects to sustaining the networks. The first is establishing, managing and operating the network and the second is creating and managing the content. While developing these two aspects, DEF realised that most of the networks we set up are managed by young men, who often leave for cities to find better work and other opportunities. Women mostly stay at home or do odd jobs. Even if women visited the CIRCs, their role was limited to searching for information. Their participation in managing and operating the networks was negligible. At the same time, managing wireless networks in rural regions is difficult, as wireless network engineers from urban areas are not willing to travel to rural regions. Realising this gap, we saw a need to have a person who could operate and manage these centres and interact with users or community members on a regular basis, providing wireless training to women and enabling them as what we called “women barefoot engineers” and “wireless women entrepreneurs”. This became a priority for W4C. We wanted to achieve two things: 1) create a network of women barefoot engineers who could manage the network, and who could also develop local content; and 2) by doing this, improve the presence of women in the telecom and wireless sector. The technology using to connect the “last mile population.” Screenshot from Ocean in a Drop provided by Secession Films and the Digital Empowerment Foundation (DEF) and used with permission. In 2014, Kainat Ansari became the first woman appointed by DEF to set up a wireless network. Kainat received three months of wireless networking training in Guna, Madhya Pradesh. Initially, she was engaged in the daily management of the centre. Then she started managing the wireless network, including configuring devices and setting client access levels, as well as interacting with community members on their tech needs. Her tasks also included live network set-up, DVR configuration, point-to-point configuration and even troubleshooting at the server or client level. Kainat also helped us set up other wireless networks including in Aron, Madhya Pradesh and Saiddanpur, Uttar Pradesh. Kainat acted as an influencer for other girls living in Guna. Fauzia was one of them. She was visiting the centre to access YouTube and other entertainment websites. Following in Kainat's footsteps, she joined the wireless networking training programme. She is now able to make PCB circuit boards, climb network towers, do TP-Link router configuration, and troubleshoot at the centre and client level. Another local content intervention was our Wireless Women for Entrepreneurship and Empowerment (W2E2) project, which was part of the W4C programme, and initiated in partnership with ISOC in 2014. It aimed to help women in grassroots businesses make use of digital tools and the potential of e‑commerce. Bidyawati Mehar, a girl from Orissa who had not finished her schooling, is part of a weaver family living in a small village called Barpali. Barpali is famous for hand-woven ikat sarees, and the village is home to about 20,000 handloom weavers. Bidya was the first of a few students who joined our wireless network centre in the village and soon became among the fastest-learning students at the centre. The weavers in Bidya’s village lacked knowledge about new designs, business practices and modern technologies. Most of the designs made by the weavers had not been set to paper. This restricted experimentation and innovation in designs. Being a digitally literate weaver gave Bidya opportunities to introduce various digital interventions into the weaving process. Bidya is now part of a “mobilisation team” that encourages more weavers to adopt digital tools, and trains scores of youth from her community in digital literacy and design. The engagement with women has created new opportunities for rural women who want to learn technical skills but do not get the opportunity due to a lack of projects, programmes or institutions that offer training, or because they face social and patriarchal challenges which exist in the society. As part of W4C, over 30 rural women have been transformed into barefoot wireless engineers. These women barefoot engineers act as influencers of others and motivate them by showing how this sort of training can improve their livelihoods. Community networks are recognised as a catalyst for development, especially for women, who have fewer opportunities to access digital tools compared to men. But when the opportunity is given to them, we find that they manage our wireless networks effectively and efficiently – just how they manage their homes. These barefoot women wireless engineers, who can barely read and write, have demystified technology and transferred the control, management and ownership of the technologies to the community. Engaging in experiential learning and using the technology in a way that improves lives and skills has changed the definition of “literacy” and what it means to “be educated”. This approach has enabled rural women to impart their skills to others in a sort of multiplier effect. Engaging women has not only given them an opportunity to learn about technology, but also enabled them to find a comfortable place in an area mainly dominated by men. This is a small effort that helps to bridge the gender divide in the telecom sector. In the last three years, it has led DEF to engage more women in the wireless sector, as they not only make the network economically sustainable, but also make it socially viable. For more information regarding DEF's action steps, please visit the full report on the GISWatch website.